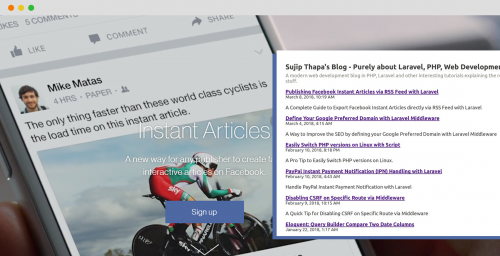 This is my third blog post about PayPal Integration with Omnipay payment processing library. In this article, I will mainly cover about the recent release v3.0, which is finally available for developers around the world. I'm sure many developers around the world were eagerly waiting for this release. In my previous article I explained about how to Integrate Omnipay v2. * with Laravel framework. In the new release v3.0, the team focused mainly on separating the HTTP Client, to be independent with Guzzle. This release now supports symfony 3,4 components to run with all Laravel v5. * versions. This is a most awaited release, developers were not able to use, as it was not fully compatible with latest symfony components. To know about the breaking changes and new additions to the package, view the full release note from their official doc and github repository. By using this package (omnipay/paypal) we can implement different gateways listed below. 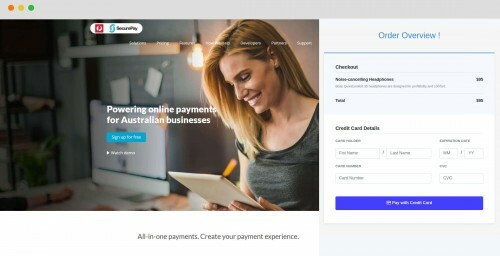 We're going to integrate PayPal Express Checkout in this article below. Before starting the coding let's install the package via composer. I mainly write named routes all over my applications, having name routes are easy to create URLs from anywhere within the project with a simple helper route(), I have mentioned before about this mechanism with my previous articles as well. Adding required models for this implementation. The order model only has few basic fields implemented just for the simple example, you are free to customize with your required fields in your application. Adding new database table orders, you need to create a migration file with a console command. Adding new helper class for generating gateway object and routes to interact with PayPal API. Laravel ships with a config file config/services.php to store credentials to be used with third-party API services. For this implementation add following credentials under the same file like below. // the above order is just for example. 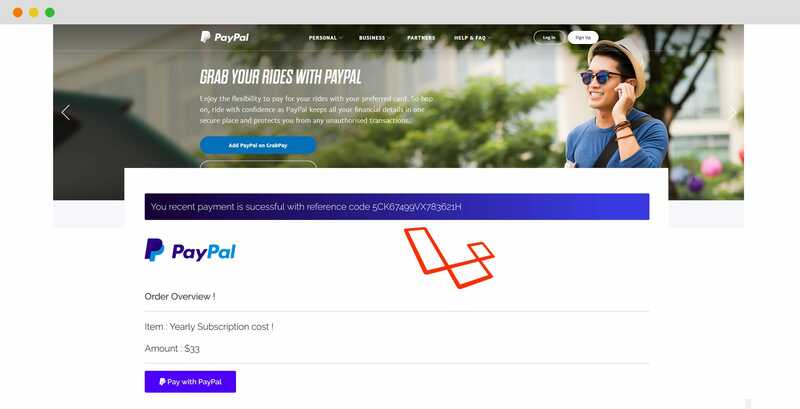 Finally, adding a simple view to submitting a form to pay the order amount with PayPal, the form redirects the user to PayPal hosted page to enter the user account details for the security reason. The preview of the above view looks like below, I just made for this example. For the above real-time example, I tried to cover only the mechanism to handle the payment request, failed payment, canceled a payment. You are free to customize it and manage as per your application architecture. 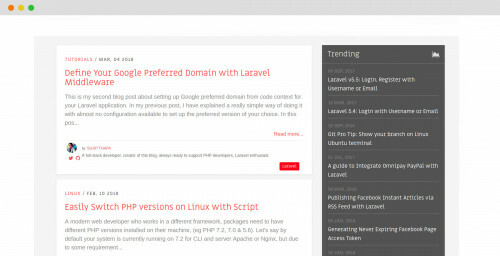 The above example was created with Laravel v5.6 version but it works for all v5. * versions, that's the benefit of the new release for omnipay/paypal latest version v3.0. To view the full source codes, view few commits (65e4b5a, 75a9585, c469e59, ab0b4db b24fa97) on github example repository. Thanks for reading this article up on the end, please leave your feedback below in the comment section.